"Maybe everything just gets more expensive or we have jobs leaving." 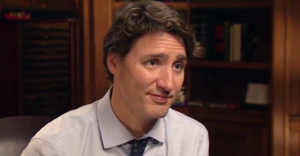 What does Prime Minister Justin Trudeau think about raising the minimum wage? Neil Piercey was one ‘ordinary Canadian’ who got an opportunity to grill Trudeau. Piercey is a 58-year-old worker from London, Ontario who was laid off from a long-time, good paying manufacturing job, but now finds himself in a low-wage job and without a pension as he nears retirement. Trudeau wonders if raising the minimum wage could mean “jobs leaving” and relocating elsewhere? What about Trudeau’s concern that “maybe everything just gets more expensive”? Another study out of Purdue University estimated raising the minimum wage for McDonald’s workers by $8 would increase the price of a Big Mac by only 15 cents. And a recent study out of Cornell looking at the impact of minimum wage increases on the US restaurant industry over 20 years found it only translated into a 0.3% to 1.5% increase in costs for consumers. Nearly half of Canadian minimum wage earners work at companies with 500+ employees. “Large corporations are also paying the bottom wage despite their profitability,” the CLC observes. But what good does that do for laid off workers approaching retirement? How much money do you need to earn per hour just to make ends meet, anyway? If you live in Toronto, you’ll need to earn $18.52 per hour to earn enough to live on. 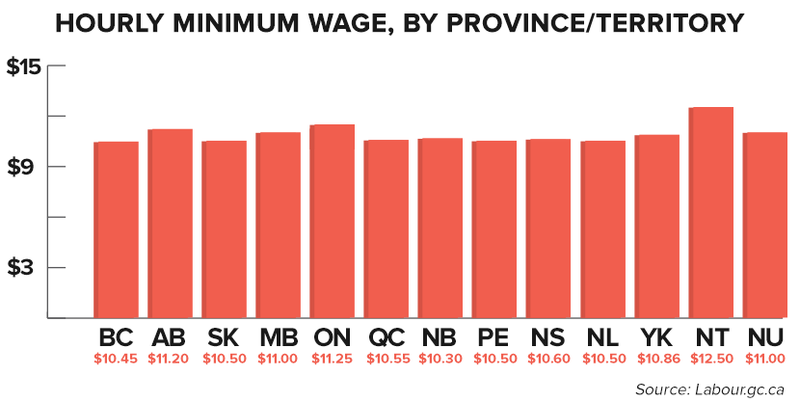 Across the country, the living wage varies between $20.68/hr in Vancouver, $18.15/hr in Calgary, $16.46/hr in Regina, $14.07/hr in Winnipeg, $14.15/hr in Windsor, or $20.10/hr in Halifax, to offer a few examples. And it’s worth noting – after four decades, the minimum wage in Canada has increased by only one penny after inflation since 1975. 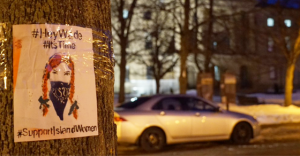 Here we are, 28 years to the day since the Supreme Court’s landmark Morgentaler Decision struck down restrictions on abortions in Canada, yet one province still hasn’t gotten around to respecting women’s reproductive rights. Prince Edward Island is the only province in Canada where women can’t get access to abortions. At. All.